A Day of the Dead delight, this rose sugar skull stencil will be the hit of your celebrations. Gorgeous pasted in gold on a dark background. 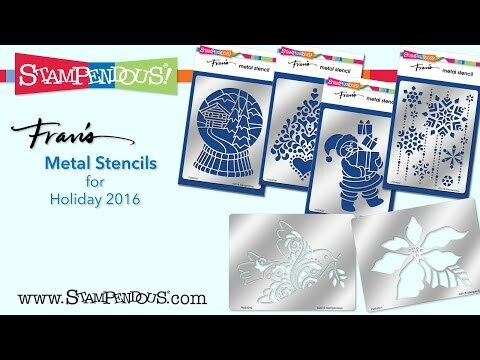 High quality, precision, stainless steel stencils are manufactured in China from designs copyright by Fran Seiford and Stampendous. Rose Skull Metal Stencil was added to your cart.